Like a raffled off gift basket, Saturday’s Old Home Day celebration is packed full of goodies! The day is off and running at 8 AM with the annual Londonderry Lundgren 5K Road Race. Then nearly 10,000 people will line the 1.2 mile stretch of Mammoth Road while businesses and non-profits, bands and sports teams, politicians and special guests march to Mack’s Apples. Meanwhile, the Town Common will be filling quickly with 68 booths. And that’s just the morning! 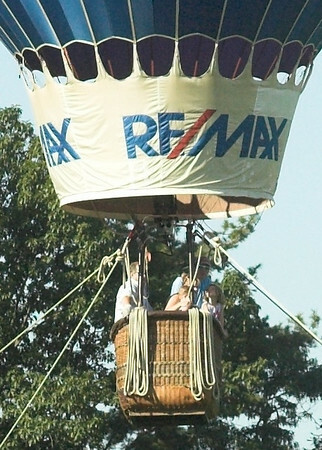 Throughout the day, RE/MAX 1st Choice Realty will provide tethered hot air balloon rides. Orchard Christian Fellowship will host a continental breakfast before the road race. The Morrison House will have a demonstration of a Revolutionary War Encampment. Lunch will be available for purchase from the Lion’s, featuring their delicious sausage sandwiches. The Londonderry Old Home Day Committee has teamed with the Nutfield YMCA to sponsor water balloon tosses, wheelbarrow races, pie-eating contests, Pinatas, sack races, and so many other great family activities. Family Bingo has officially become a part of the Old Home Day celebration. Also added is Londonderry Sings, which will be hosted to showcase the talented Londonderry folk! 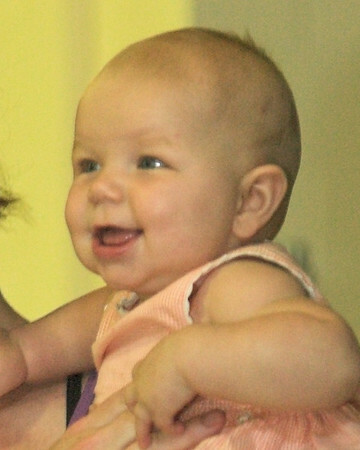 If your baby is a resident of Londonderry and was born between August 1 of last year and August 14 of this year, be sure to enter him or her in the Londonderry Old Home Day Baby Contest! Babies will be judged and awarded prizes in these categories: Best Personality; Best Dressed; Best Smile; Little Miss; and Little Master! Pre-registration is required and no exceptions will be made. Be sure not to miss the action at the Bandstand! Bands, like the Hudson American Legion Band and the Lancer Drumline will perform during the day. The High School Radio Station WLLO may take the stage and feature music and Karaoke. This year’s Applestock concert will begin at 7 PM and will feature local high school talent! The concert will last until 10:30 PM. Most of Saturday’s event are held on or near the Town Common located on the corner of Pillsbury and Mammoth roads. Browse this map for detailed directions.